Our replacement spindles for Encore mowers are made with the highest quality materials. We provide high quality drop-in replacement spindles for Encore 71460007 and all Encore lawn mower spindles. For ordering information please fill out a contact form, email or call 502-689-9455. WRIGHT: 48″, 52″ and 61″ cut decks, serial numbers 20425 and higher for Wright Stander mowers. Replacing your Encore 71460007 spindle is a relatively easy process. While we always suggest relying on your local Exmark dealer for service of you Encore spindles, here is a brief outline as to the steps necessary to replace your spindles. Needless to say, you will want to make sure that your mower is turned off with all safety switches engaged before you begin. You should also consult your owner’s manual before attempting any repairs or replacement of parts. Encore 71460007 Spindle replacement: (1) Remove the deck from the mower. This will make it much easier to remove the spindle. (2) Remove the blade and the pulley from the worn spindle. You will likely want to repair all of your mower’s spindles even though only one is showing symptoms. By replacing all of the spindles at one time, you avoid repeated down time as spindles separately wear-out over time. (3) Remove the worn spindle from the deck. Exercise care and attention when removing the bolts. Use penetrating oil and let it soak. If the bolts break off you should drill and tap new mounting holes slightly offset from the original holes. (4) Replace the old spindle with your new ProGear replacement for Encore 71460007. With any luck, your new spindle should last three to five years. 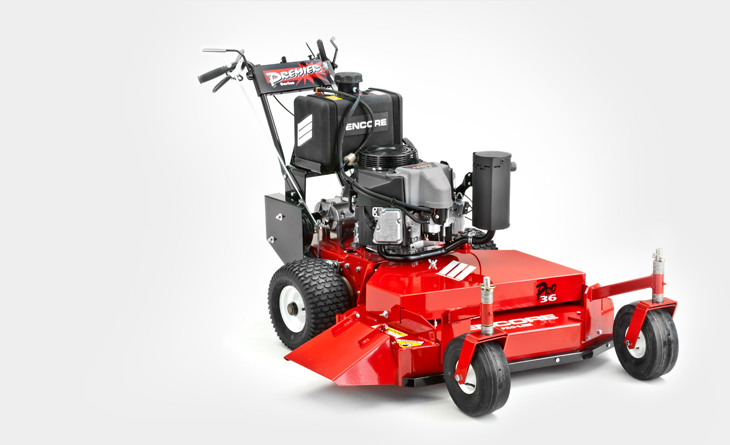 Encore 36″ Belt Drive Mower Use ProGear Drive Systems. If OEMs trust us to provide their parts, you can trust us to provide replacement parts. Since 1988, Encore has served the mowing industry with a full line of high quality mowers that get the job done right the first time. With easier maintenance, precision blade alignment, and tough durability plus an industry leading warranty, Encore strengthens your hand and protects your investment. When you want to replace a spindle on your Encore lawnmower, look no farther than ProGear. 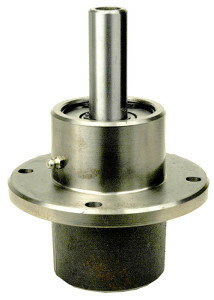 Our spindles are a drop-in replacement for Encore 71460007. We take pride in building quality replacement parts that will keep your mowers out of the shop and in the field. In March of 2011, Encore was purchased by Worldlawn Power Equipment, Inc.Worldlawn is focused on growing the Encore brand by continuing to build high quality mowers with heavy duty components, complimented by details that make routine maintenance much easier on machines that are priced right. Encore has chosen ProGear as its supplier of Transmissions and Transaxles for Encore belt-drive lawn mowers. If Encore trusts us to supply their drive systems, you can trust us to supply replacement parts for you Encore mowers.